Parallel importation – defined perfectly by George Wei J in his latest judgment of Samsonite IP Holdings Sarl v An Sheng Trading Pte Ltd  SGHC 18 – is “broadly concerned with situations where a third party, without the consent of the proprietor of an intellectual property right, imports the proprietor’s goods that are legitimately produced in Country A into County B, to be distributed and sold “in parallel to” and in competition with identical goods sold through the proprietor’s authorised distribution networks in Country B”. Parallel imports, or “grey market” goods, continue to fall within a “grey” legal area internationally, with different jurisdictions taking different approaches to regulating them. How does Singapore law seek to reconcile the interests of the public and consumers in upholding the free movement of goods, with those of intellectual property rights owners who have expended efforts to protect their rights across various jurisdictions? The recent judgement of Samsonite IP Holdings Sarl v An Sheng Trading Pte Ltd  SGHC 18 provides much food for thought on this topic. In this first of a series of three articles, we introduce the facts of this case as well as background about the existing laws drawn up to balance both ends of the stick. The second and third parts go deeper into issues that were raised in the judgement and aim to provide insights on the legal position regarding parallel importation going forward. By way of background, Samsonite IP Holdings Sarl (“Samsonite”) and its related companies are manufacturers of premium bags, backpacks, luggage and travel accessories. Samsonite granted a licence to its Chinese subsidiary permitting use of the Samsonite trade marks exclusively in China. The Chinese subsidiary entered into a co-branding agreement with Lenovo PC HK Ltd (“Lenovo”) for the purpose of increasing awareness of the Samsonite brand in China. Under the agreement, the Chinese subsidiary was to manufacture and supply to Lenovo computer cases and backpacks bearing the trade marks of Samsonite and Lenovo (“the co-branded backpacks”), while Lenovo would give away the co-branded backpacks in conjunction with the sale of certain models of Lenovo laptops. However, some authorised dealers unbundled the co-branded backpacks from the Lenovo laptops and sold them to unauthorised dealers, who subsequently sold them to An Sheng Trading Pte Ltd (“An Sheng Trading”). An Sheng Trading then imported a shipment of the co-branded backpacks into Singapore. According to Samsonite, An Sheng Trading’s act of importation of the backpacks from China amounted to infringement of its trade mark as the importation was done without its consent. On this basis, Samsonite sued and sought summary judgment against An Sheng Trading. However, An Sheng Trading argued that the backpacks were genuine goods and relied upon a defence under Section 29 of the Trade Marks Act (also known as the “exhaustion of rights” defence). This defence is available to parallel importers if it can be shown that the trade mark proprietor’s goods have been put on the market, whether in Singapore or otherwise, or with his express or implied consent (conditional or otherwise). The general rationale behind the doctrine of “exhaustion of rights” is that whilst proprietors have the ability to control when (and how) their trade marked goods are to be put on the market for the first time, they should no longer have control over subsequent importation, sale, distribution or other exploitation once those goods have entered the market, i.e. the trade mark rights are exhausted. Having reviewed the facts of this case along with the parties’ arguments, the Court had to determine whether the “exhaustion of rights” defence could be relied upon by An Sheng Trading. In doing so, the Court raised two questions for consideration: whether the backpacks were 1) “put on the market”; and if so, 2i) whether this was done by the trade mark proprietor, or 2ii) with the proprietor’s “express or implied consent (conditional or otherwise)”. 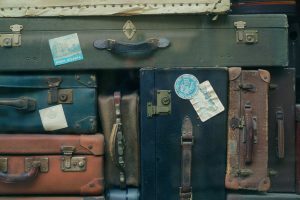 The Court eventually concluded that An Sheng Trading could not rely on the “exhaustion of rights” defence, and ruled in favour of Samsonite’s summary judgement claim for trade mark infringement. We shall examine this interesting decision in detail in the next two parts of the series.